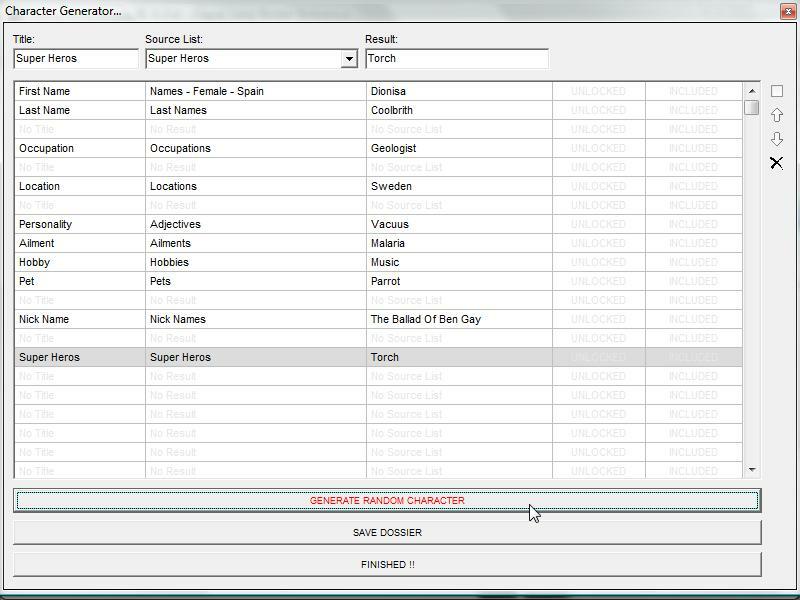 The ‘Character Generator’ allows users to quickly create random character dossiers using an almost unlimited number of fields. Incorporate your own unique item titles, sorting them into any desired order. 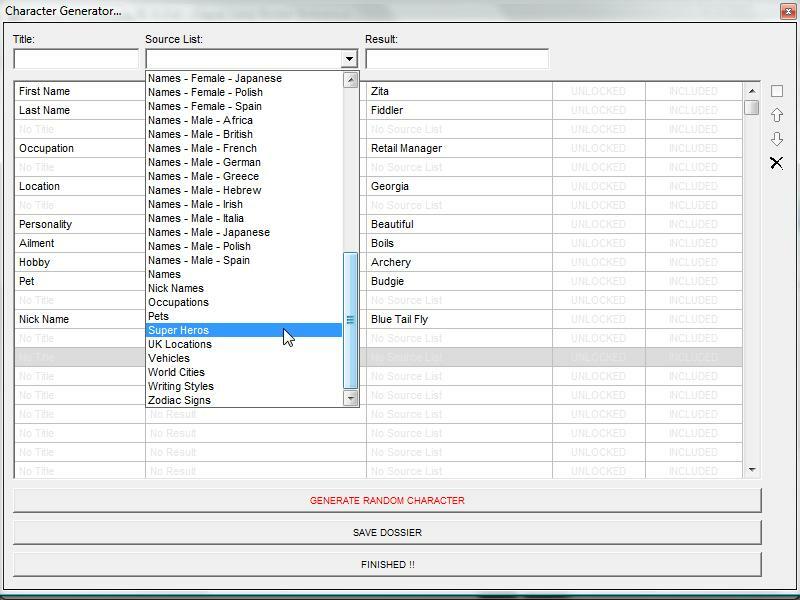 Choose 'Character Generator' from the main 'Tools' menu. Begin be selecting a row and, using the 'Source List' box, choose a list of titles. 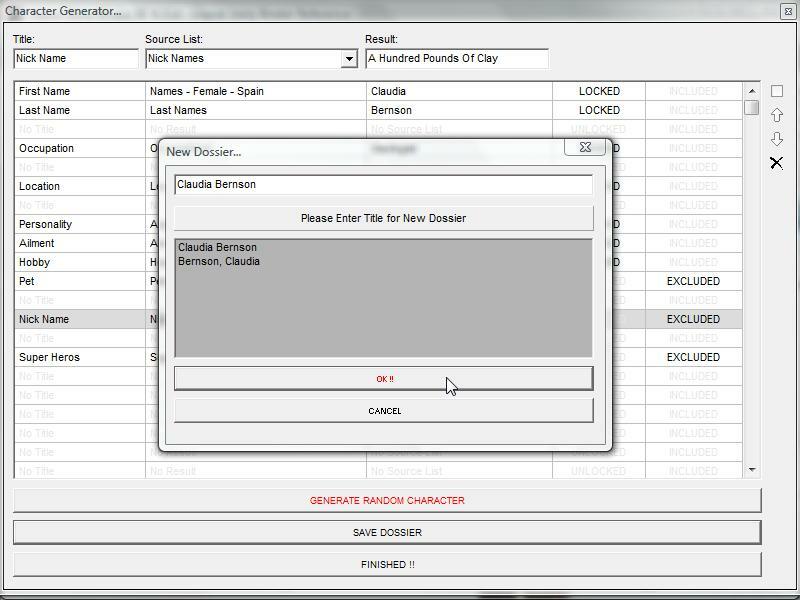 Choose custom lists for items such as last name, first name, nick names, occupation, language, etc. Click the ‘Generate Random Character’ button to create a random character. Lock in an item using the 'LOCKED' / 'UNLOCKED' column. 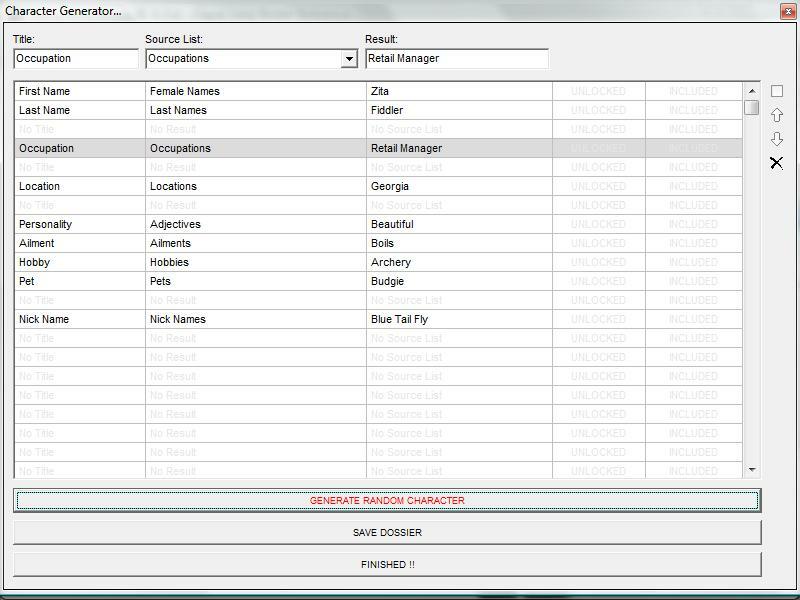 The next time you click the 'Generate Random Character' button any 'LOCKED' items will be preserved. Little by little, create the perfect character by locking in preferred items before regenerating remaining items. 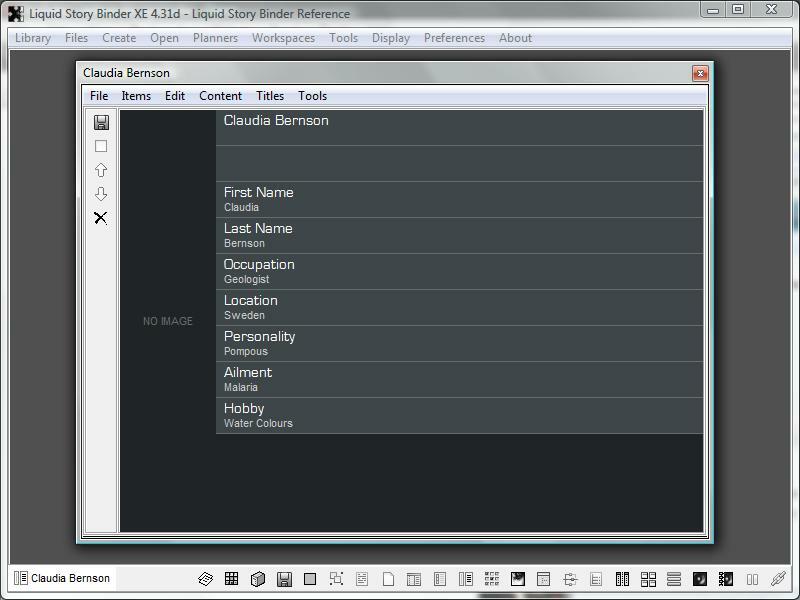 After you've generated the perfect personality, create a Dossier to save your new character. Click the 'Save Dossier' button. 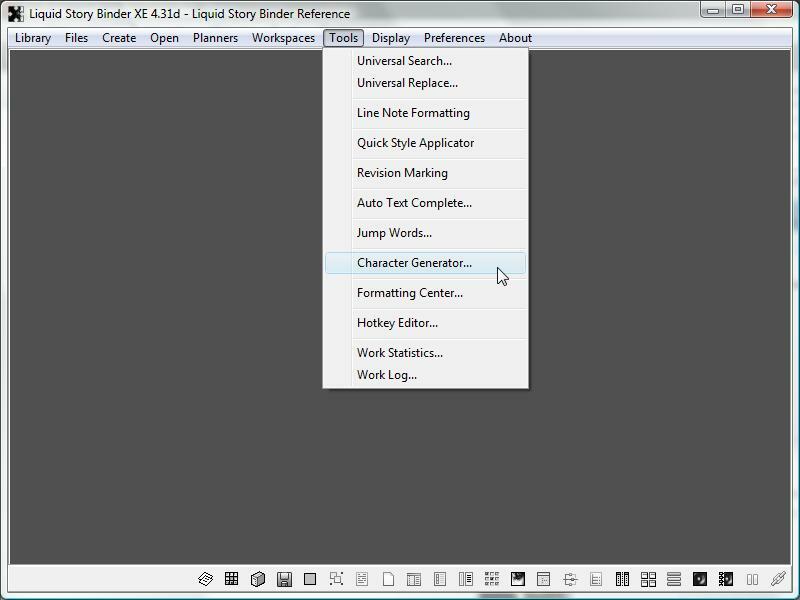 'EXCLUDE' items from the Dossier by clicking the 'INCLUDED' column option next to to undesired option.